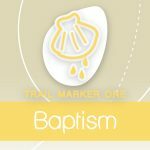 Faith Trail Ministry is a way to celebrate with families in your congregation the promises made in baptism, and it equips families with resources for sharing their faith stories. 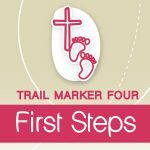 Faith Trail markers are celebrated with an event for children and parents to attend together and are recognised in worship through prayer, blessing and gifting. 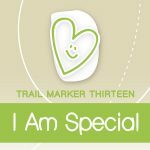 Naming and Marking the spiritual markers in the lives of children in your congregation helps to create rituals and traditions that shape them and give them a sense of belonging to the family of God. 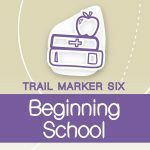 Equipping provides an opportunity for learning related to the trail marker, builds community, invites conversation and brings generations together. It equips families with take-home resources to use in their everyday lives. Blessing the child and marking the occasion in worship communicates that faith and life are woven together. God is present in all of daily life, making the ordinary sacred and the sacred ordinary. Gifting is a tangible way of providing a symbol and a reminder of the occasion being marked. Gifting serves as a resource for the ongoing nurture of faith in daily life. Parents and infants come together for support and encouragement around the time of their child’s baptism and are gifted with practical tools as they embark on their journey of Christian parenting. 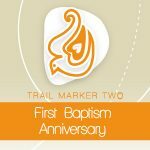 Brings parents and congregational sponsors together to celebrate their child's first baptism anniversary. Parents are introduced to ideas and resources to assist them in nurturing faith in the home. Encourages parents to take the lead in teaching their children how to pray. Activities teach children that praying to God is easy. Allows children and their families, taking their first steps into Children Ministry to have a fun and memorable experience together. They learn how important they are to the church community and explore its many functions through a treasure hunt. We discuss the important role worship plays in family life and how to equip families to worship at home and in church. 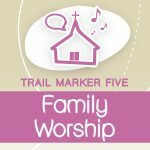 This trail marker discusses ways to help children and parents feel comfortable participating in worship together. Provides the opportunity to share with others the excitement and fears around beginning school with practical ideas for supporting each other. 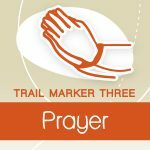 The importance of developing a regular sharing of highs, lows and prayer into daily routine is also included in this session. 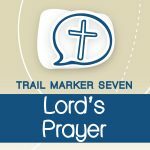 Encourages parents to take the lead in teaching their children the Lord's Prayer. This session provides an opportunity for both parents and children to learn together through discussion and activities. 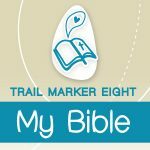 Provides a time for parents and children to find their way around the Bible as well as learning some Bible history from the Pastor. It also offers some ideas about how families can read their Bible in a way that is interesting and fun. 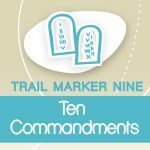 Encourages parents to take the lead in teaching their children the Ten Commandments. 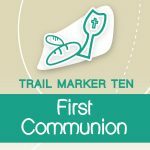 First Communion is a major step in a young person's faith journey and gives parents a chance to engage with them in their spiritual growth. 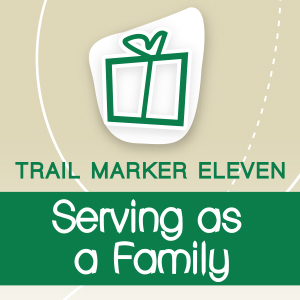 This marker is to inspire and engage children and their families in being the hands and feet of Christ through church, community and service as a family. 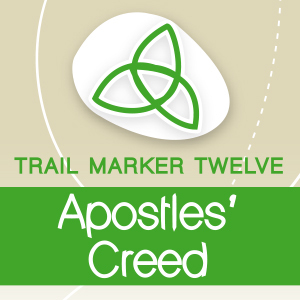 Designed to help children and families learn more about what we believe when we confess the Apostles Creed. Celebrates that each child is made in the image of God. This is a time of transition and new freedoms as they move into high school. Bringing parents and children together to celebrate this transition.